Type in a keyword and find thousands of leads in seconds for your target keywords in any niche. 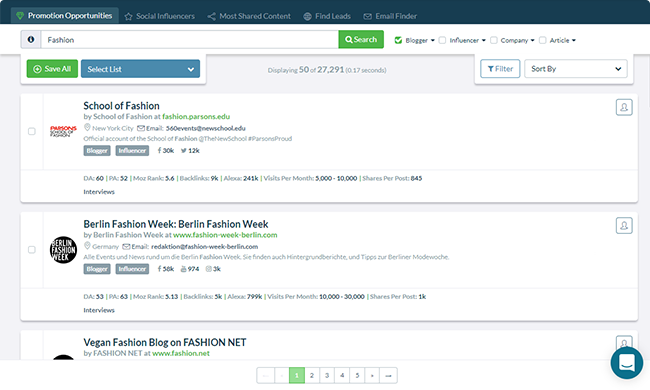 You can filter by tags like bloggers, influencers, executives, journalist, and companies. There are over 4 million leads in our database and growing. 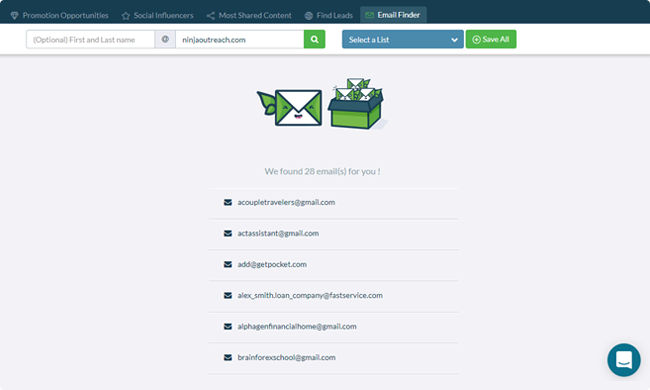 Custom sales emails allow you to contact your leads at scale without sacrificing personality. 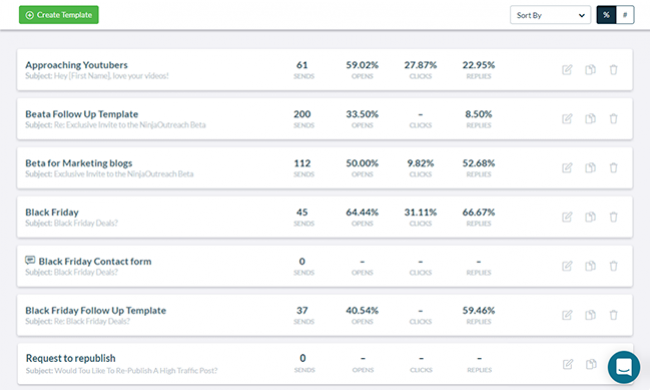 We track templates and prospects for opens, clicks, and replies so you know which templates are succeeding and which prospects are interested. 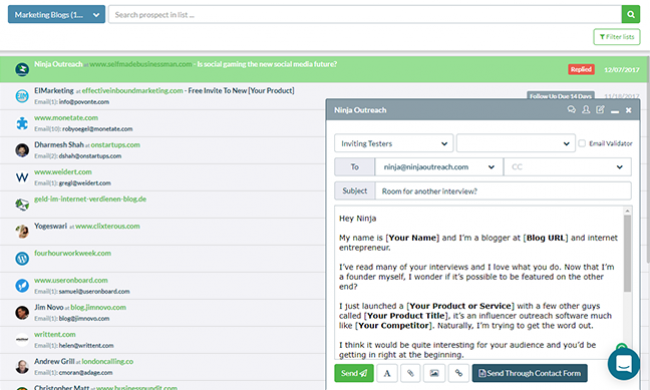 After finding leads, our outreach tool will enable you to quickly email your leads, track for interest, and follow up to replies all without leaving the tool. Our in-app inbox syncs with your email client to provide you with up to date responses and alerts.